1. 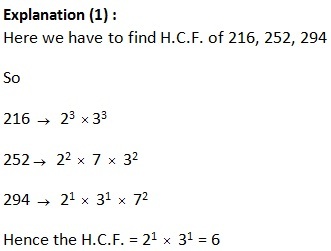 Find the largest number which can exactly divide 216, 252, 294. 2. There is a number greater than 1 which when divided by 4, 5 and 6 leaves the same remainder of 3 in each case. 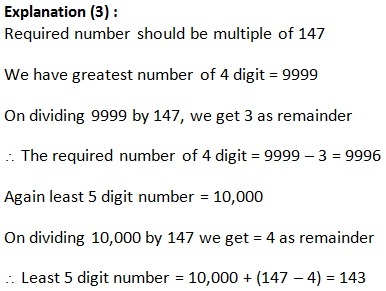 Find the largest number, smaller than 1000 which satisfy the given condition. 4. 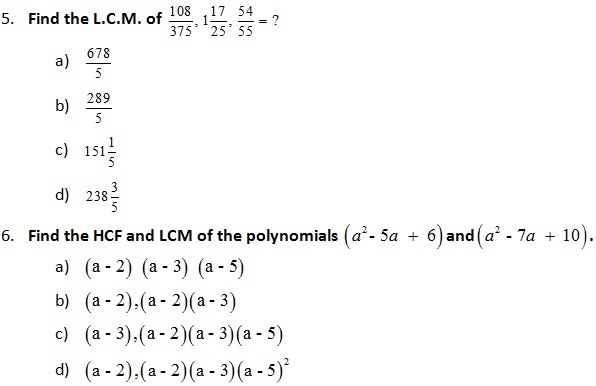 For how many value of ‘P’ the LCM of P and 20 will be 40. 8. Ram wants to utilize his unused field and plan to plant some trees, he plant 88 guava trees, 132 papaya trees and 220 sugarcane trees in equal rows (in terms of number of trees). Also, he wants to make distinct rows of trees (i.e. only one type of tree in one row).Calculate the minimum number of rows? 9. A rectangular courtyard 15 meters17 cms long 9 meters and 2 cms wide is to be paved exactly with square tiles, all of the same size. What is the largest size of the tile which could be used for the purpose? 10. 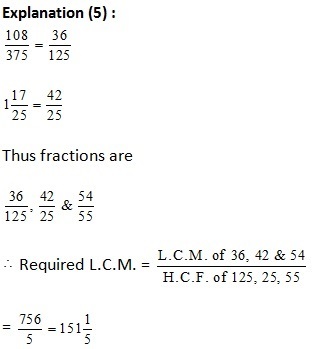 Find the least number that should be added to 2014 such that the resulting number can be divided by 3, 4, 5 and 6 leaving no remainder. We have to find largest number less than 1000 which is of the form 60x + 3. Size of each tile = HCF of 1517 and 902. If the number is divisible by 3, 4, 5 and 6, then it has to be divisible by L.C.M. of them. Now, when 2014 is divided by 60, the remainder is 34.